New Release Vinyl, you know Friday is the new Tuesday right? Last Friday was the first that new music releases will be Fridays instead of the historic Tuesday. Not a huge difference for those of us who prefer vinyl since a lot of records are released on a different day or often delayed because of manufacturing, but we are a patient bunch who always seem to keep digging until we find that one elusive album. 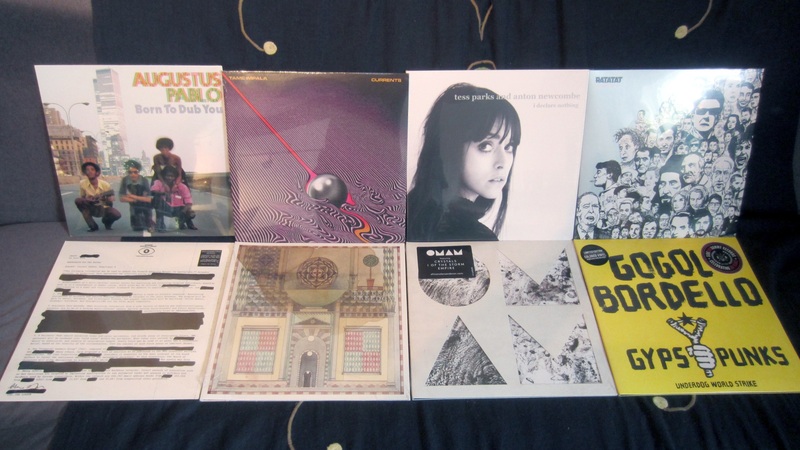 Today though, we have got a great batch of new releases to feature. As always, check out the sample tracks and details below. I personally have been waiting for new Tess Parks music since her first release in 2013, now that wait is over and even better it includes Anton Newcombe as a collaborative partner. I’ve already cracked the seal on one and damn it’s good. On with the latest releases. Much has changed since Tame Impala first emerged with an EP of dusty home recordings in 2008. By and large Kevin Parker’s approach to recording has not, though the sound coming out of his home studio has vastly expanded, as has the number of people anticipating the fruits of his labour. Tame Impala’s third album is titled Currents, and on it Parker addresses a blindingly colourful panorama of transition in the most audacious, adventurous fashion he’s yet to capture on record. Dense with heady lyrical introspection, musically the most playful, bold and varied Tame Impala record to date, Currents is Parker putting down his weapons and embracing change as the only constant – sonically, thematically, and personally. Born in Berlin in early 2014 and nurtured over the following summer, ‘I Declare Nothing’ is the spine-tingling collaboration between Tess Parks and Anton Newcombe (Brian Jonestown Massacre). The duo, who co-wrote and co-played on the album, they are touring across Europe this year. Tess Parks – A native of Toronto, moved to London, England at the age of seventeen where she briefly studied photography before deciding to focus on music. Tess made an impression on industry legend Alan McGee, founder of Creation Records, albeit the timing of their meeting could hardly have been less ideal; McGee was no longer involved in music and Tess was due to move back to Toronto. After moving back to her hometown in 2012, Tess formed a band on the advice of McGee and less than a year after their meeting, he returned to music with his new label, 359 Music. Anton Newcombe is the leader of the Brian Jonestown Massacre, who returned last May with their 14th full-length album ‘Revelation’ to critical acclaim. It is the first album that was fully recorded and produced at Anton Newcombe’s recording studio in Berlin and was released on his record label A Recordings. It was supported by a successful European tour. Ratatat, the duo of Evan Mast and Mike Stroud, have revealed their fifth studio album “Magnifique” arrives via XL Recordings. The 14-track album includes the recently released single “Cream On Chrome,” which the duo debuted during their headline set at this year’s Coachella. Following up on the experimental sounds of LP3 and LP4, Ratatat return to their core guitar-driven sound for Magnifique which was recorded over the course of four years in various studios in different locations including Jamaica, upstate New York, Long Island, NY and their home studio in Brooklyn. The art for Magnifique includes a series of sketches drawn by Mast and Stroud during the recording sessions. What else can you expect on “Magnifique”? Pedal steel guitar, the sound of a tiny 1940’s guitar amp found in a thrift store in Guadalajara used on “Intro,” a song named upon the discovery that the guys both had posters of a “Countach” on their walls in junior high (the duo met in college), and a cover, their first ever, called “I Will Return” by Springwater (aka Phil Cordell). The group spent last year and a half working on ‘Beneath The Skin’ with co-producer Rich Costey [Muse, Death Cab for Cutie, Foster The People, Interpol] between studios in Iceland and Los Angeles. The album’s anthemic first single, “Crystals” currently sits at #2 on the Canadian Alternative Radio chart. Just last month, the band kicked-off their 2015 world tour in Toronto with a sold out show at historic Massey Hall and will return for six more Canadian dates this summer headlining major festivals including Osheaga (Montreal July 31), Squamish Fest (Squamish August 8) and TURF (Toronto September 18). 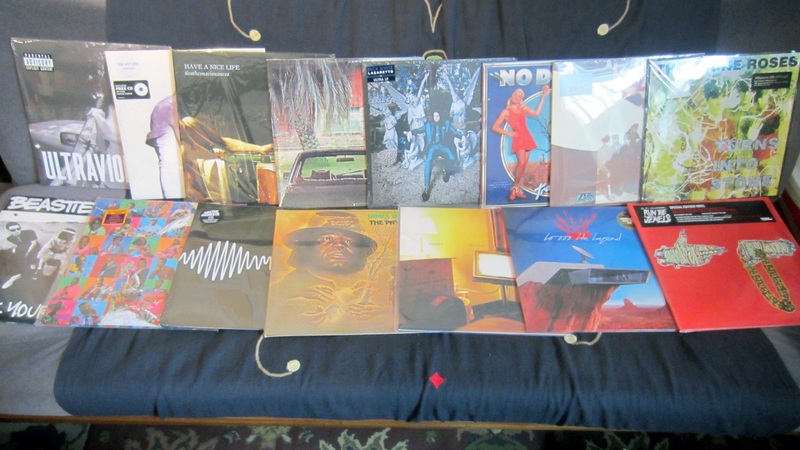 Plus we received a whole whack of restocks and some other new stuff we’ve added to the rotation. February 17, 2017 Let’s get up to speed on some fresh vinyl releases.